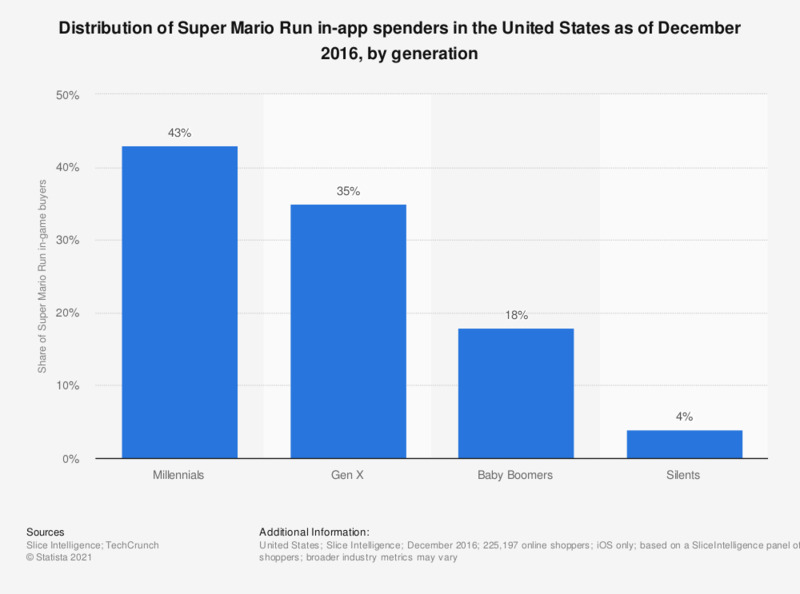 The graph shows the distribution of Super Mario Run in-app spenders in the United States as of December 2016, by generation. It was found that 43 percent of Super Mario Run in-game buyers were Millennials. The source does not provide information on the exact survey period. Statistics on "Paid content in U.S. print and digital media"